Chemical storage and chemical spill containment is serious business. Environmental Products offers many practical solutions. From our Spill Containment Pallets, to our chemical storage cabinets and buildings, Environmental Products has many OSHA compliant options. Contact one of our chemical storage experts today. 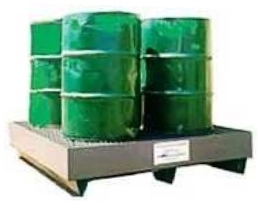 • Capacities: 1 - 8 drums, or up to 2 IBC totes. See below for a complete chart outlining the standard models available and corresponding specifications. 1 Drum	 36" x 36" x 8"	 80 lbs	 500 lbs	 40 gal. 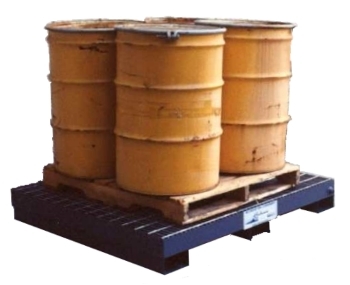 2 Drum	 60" x 36" x 8"	 150 lbs	 1,000 lbs	 70 gal. 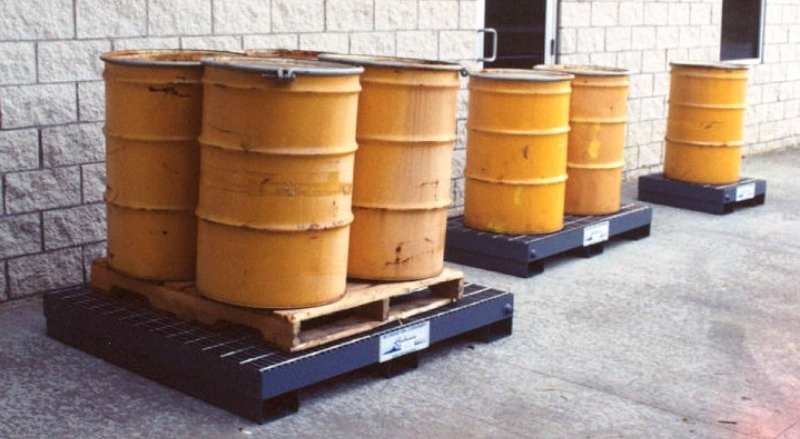 4 Drums / 1 Tote	 60" x 60" x 8"	 275 lbs	 2,000 lbs	 120 gal. 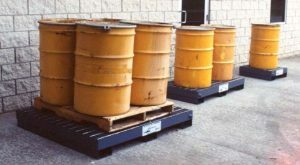 8 Drums / 2 Tote	 120" x 60" x 8"	 490 lbs	 4,000 lbs	 220 gal.